Getting out there and enjoying the outdoors is always the number one priority, but having the ability to share your adventures in a number of different ways allows us to not only learn from others but to inspire them too. 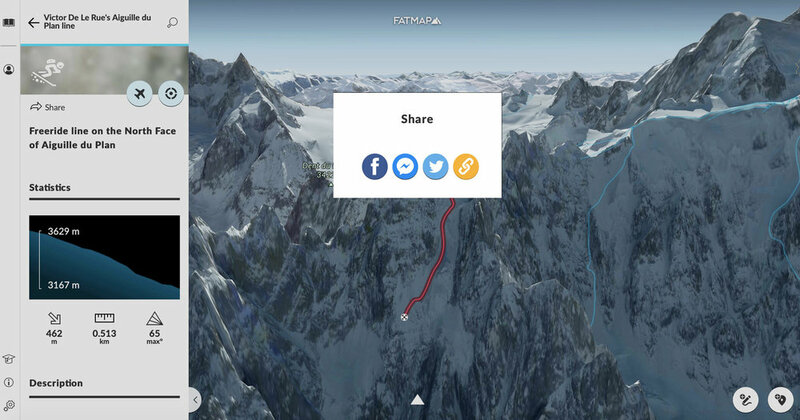 At FATMAP, you use our tools to plan and create adventures, but we also have everything you need to share them as well. Read the guide below on how to share adventures directly to social media, with simple links or with our embeddable map. To share a selected adventure or a waypoint on both web and mobile, click or tap on the share button to open up the sharing options (see above). On web, you’ll find the share button on the Adventure/Waypoint Details Panel on the left hand side of the screen. On mobile, when you have the Adventure Details Page open or the Waypoint selected, it’s located on the bottom right of the screen. By tapping or clicking on the share button, you’ll be given the option to share the adventure directly to a social media channel or to copy the URL link. You can then share this simple link by pasting it into websites, messages or emails. On sites that enable thumbnail previews, like Facebook, you’ll get a beautiful preview image that shows you the line, the name and the type of adventure (see below)! We also have an embeddable version of FATMAP! As you can see, it's fully interactive and your adventure will be front and centre and will be the only adventure visible. This means you can add this to your article, story or website and really focus attention on this one particular adventure - a very important piece of feedback we received when discussing this with the FATMAP community. Learn exactly how to embed maps here. You can always see your adventures on FATMAP but it’s also important to be able to take them with you, be it for your GPS device, smart-watch etc. The tool that enables us to do this is the GPX file. A GPX (GPS Exchange Format) file contains information such as waypoints, tracks, and routes. When you’ve created your adventure, all the information can be downloaded into this one file and then exported and imported wherever you please. 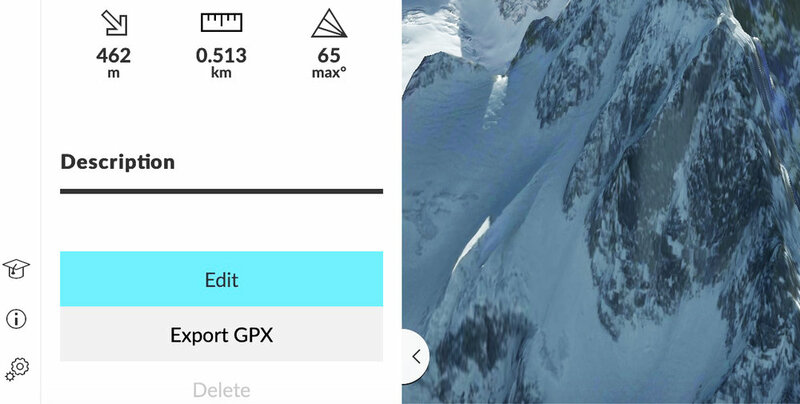 Although we’ve had the import GPX feature for a while (see our guide here on how to use it), you’ll be happy to hear we’ve now launched the export GPX feature! The export GPX feature is available for all your own custom adventures that you’ve created, so head to Fatmap.com, create a new adventure and save it or click on one of your existing adventures. You will now see at the bottom of the Adventure Details Panel the Export GPX button (see image above). Click this and the file will download to your computer, voila! Now get out there and enjoy your adventures! And don’t forget to use our tools to share them when you get home! If you have any questions or feedback about creating adventures, then you can always reach us at hello@fatmap.com.